To make a partition in a private home is much easier than in a city apartment: you will not need permission for alterations to the premises, will not need to drill concrete or brick. There are several materials that are best suited for the device of partitions in a private home. 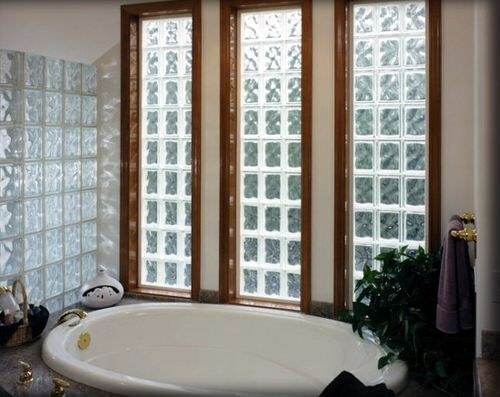 Wall in a private house can be made of brick, glass, drywall, boards, foam blocks, silicate blocks. Each of these materials has its own requirements for the condition of the premises: bearing capacity of the ceiling, quality wood, from which made the walls. Device for curtain wall of glass need metal guides, a special glue or cement-sand mortar. They are binding for all structural elements. Because the glass every 2-3 rows need be fixed to the wall, close to where they line up, it is important that it was sturdy. The design of this material has quite a lot of weight, so you should first verify that the floor can withstand the load. If the partition is mounted in a one-story house, it is recommended to inspect the joists and trim the bottom of the slab. If this is not possible, and the building was erected many years ago, it is better not to risk and choose for your walls a lighter material. The same requirement applies to structures of brick. Drywall is the best choice for installation of partitions as in a private house and multi-storey. It is lightweight, durable, easy to install. For the device walls will need sheets of two types: rack and guide. These products are intended for installation of the framework. In addition, you will need to purchase brackets, screws for gypsum fiber Board, screws CMM 3,5/51 mm. From tools, use a jigsaw, tin snips, screwdriver, utility knife. If it is not possible to use the profile, it is possible to replace wooden bruski section 3/3 or 3/4, see the For installation of this frame will need screws and a screwdriver. A wall of blocks made of foam concrete or silicate, cannot be installed in rooms with high humidity. The reason is the hygroscopicity of this material. Therefore, such walls are not recommended to build in bathrooms and shower rooms, kitchens, baths and saunas. The walls of foam blocks have clear advantages: they are light in weight, durable, have high speed of installation and low complexity of works. For the construction of these structures will need a special adhesive or cement-sand mortar. Cutting blocks by using the jigsaw or a regular handsaw.